If you come to New York, you must get some great chow. The city brings the dishes from all over the world and makes them its own. One of the highly recommended restaurants on my list is Shake Shack. After the shooting, we came to the shop just below the Brooklyn Bridge. The bridge looms over the East River and links the two boroughs of Manhattan and Brooklyn. You will find many interesting things to do if you try to explore the area. Let’s take a little break and have a burger below the Brooklyn Bridge! 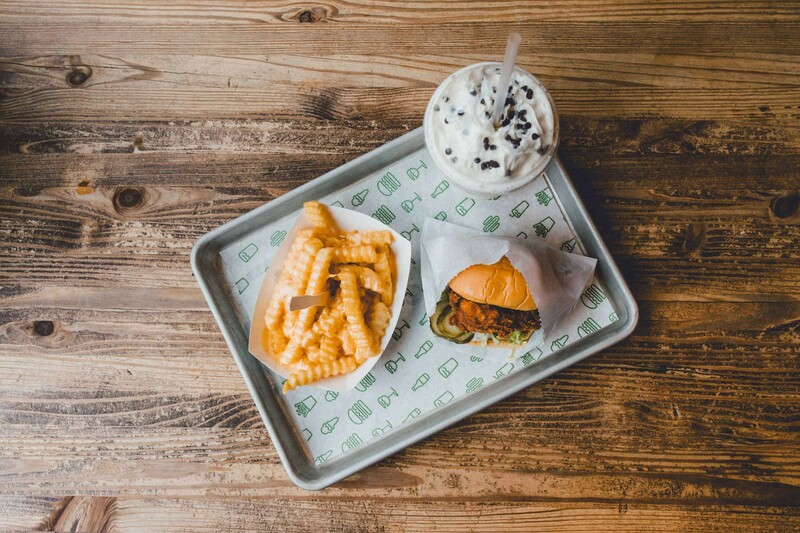 The signature dishes of Shake Shack are Shack Burger and Shack Stack. 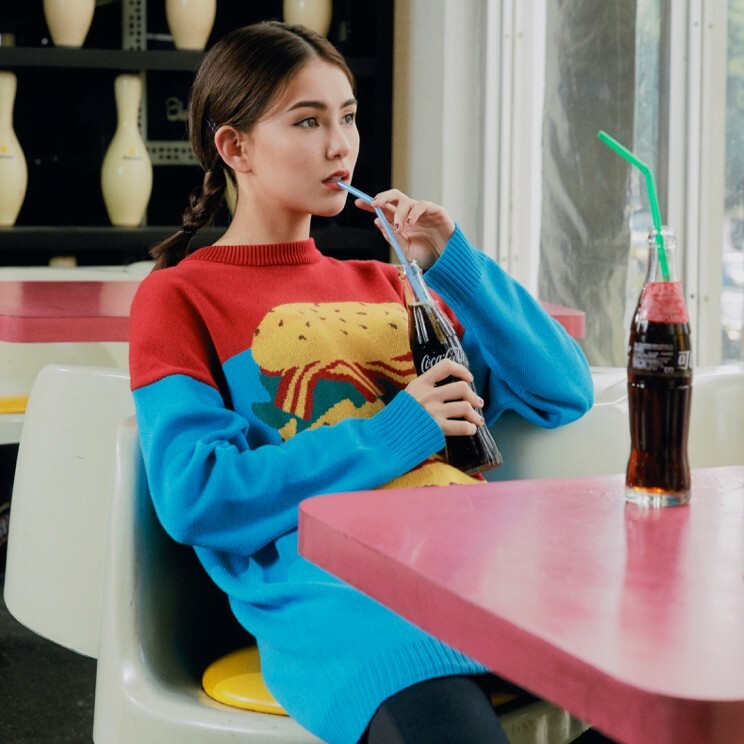 There are also a lot of different options you can choose from, such as Shroom Burger and Chick’n Shack. That day I was craving for some fried chicken, so I gave Chick'n Shack a try. 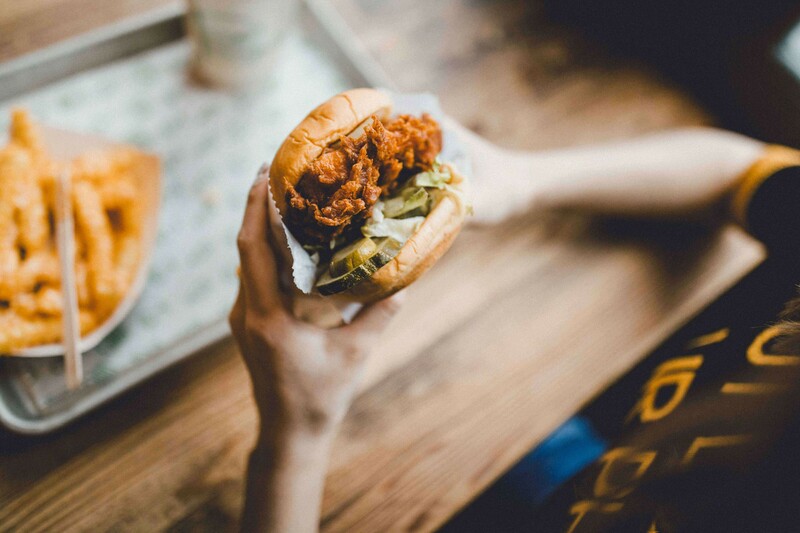 The Chick’n Shack contains crispy chicken breast, lettuce, pickles and buttermilk herb mayo. Its fried chicken has an amazing crunch and tastes super juicy. The herb mayo accentuates the dill of the pickles and makes a great balance with this sandwich. If you like to try something different from the beef burger, order a Chick’n Shack next time! As the name suggests, you know that you must order their shakes. This time I ordered Marshmallow Choc Chip Shake. Only by looking at the name made my mouth water. You will smell the sweetness of marshmallow before you drink it. And the chocolate chips make the shake even more delectable. Milkshake is very popular in America. It is a sweet concoction of milk and ice cream, sometimes with other ingredients on top to enhance the flavour. It’s a decadent indulgence to have a cup of milkshake during the hot summer day. But just remind you to be aware of the high calories from this ice cream beverage if you wanna stay in shape. Shake Shack is definitely a good place for a decent time with friends. Last time when we were there, my friends were on their phones even in the restaurant. 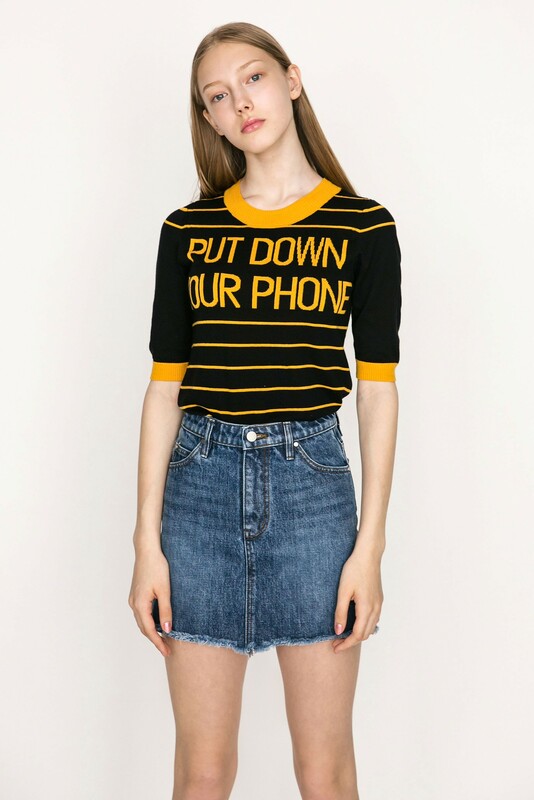 And what a coincidence that I was wearing the top writing “PUT DOWN YOUR PHONE.” Let’s put down our phone and enjoy the food with the table. It doesn’t come cheap to have a meal at Shake Shack. But if you are in New York, you should put it on your bucket list. Having a great meal under the Brooklyn Bridge makes me feel like a real New Yorker.